A couple of designs for some odd furniture. 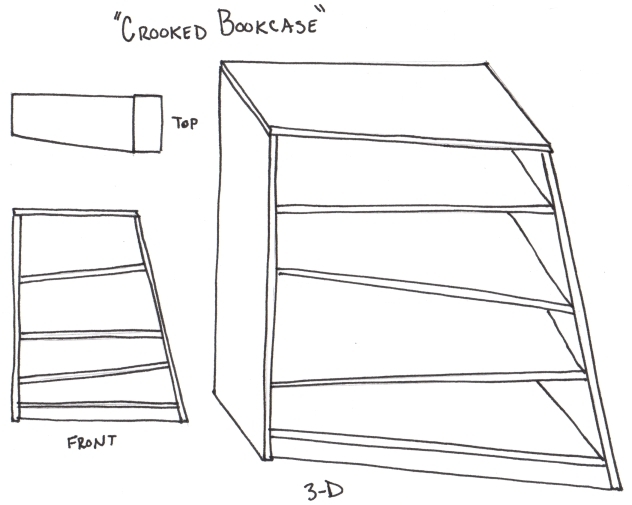 On the bookcase, it is wider at one end and has shelves that are slanted. 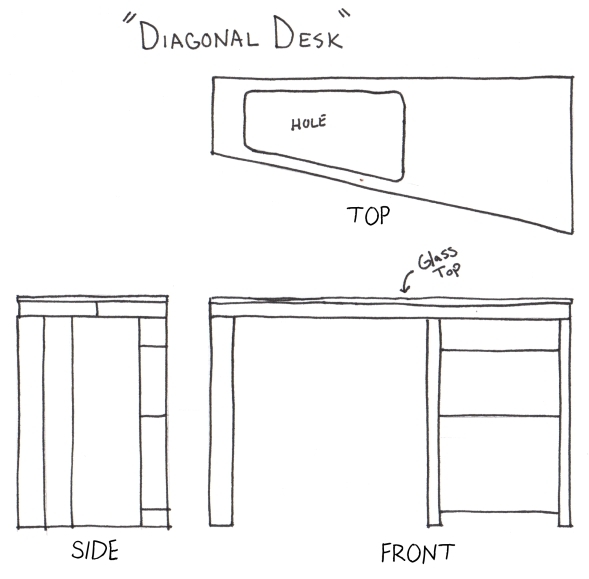 The desk has a top that is more narrow at one end, and has a hole cut in the wood with a glass top.